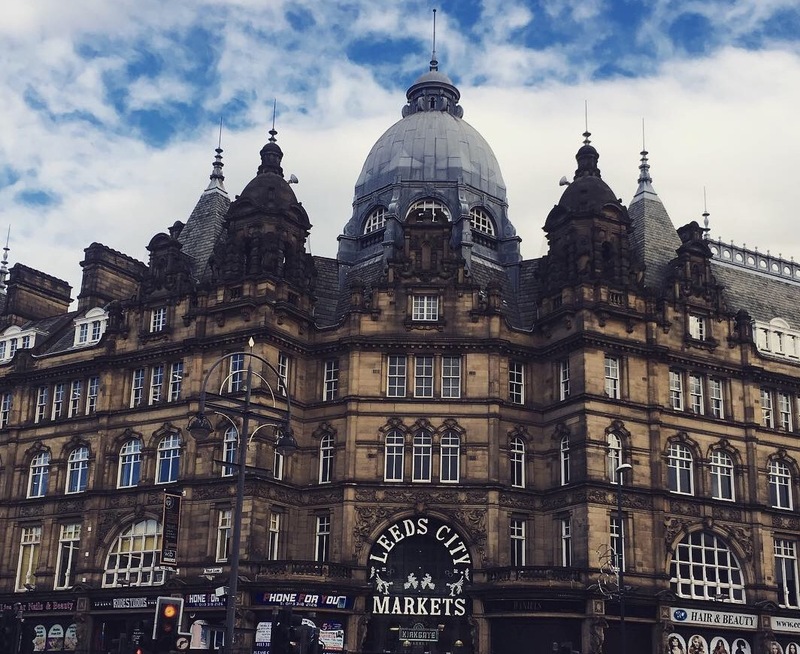 Kirkgate Market is hands down the number one reason I love living in Leeds, so it’s only fair that my first post of the year is about just that. I’m lucky enough to work only a couple of minutes walk from the market meaning that I can shop there on my lunch breaks, and this has very much influenced the way that I shop and cook: buying little and often and deciding what to have for tea based on what’s available on the day. And when I’m not shopping in the market, I’m talking about the market and telling everyone else to shop there. 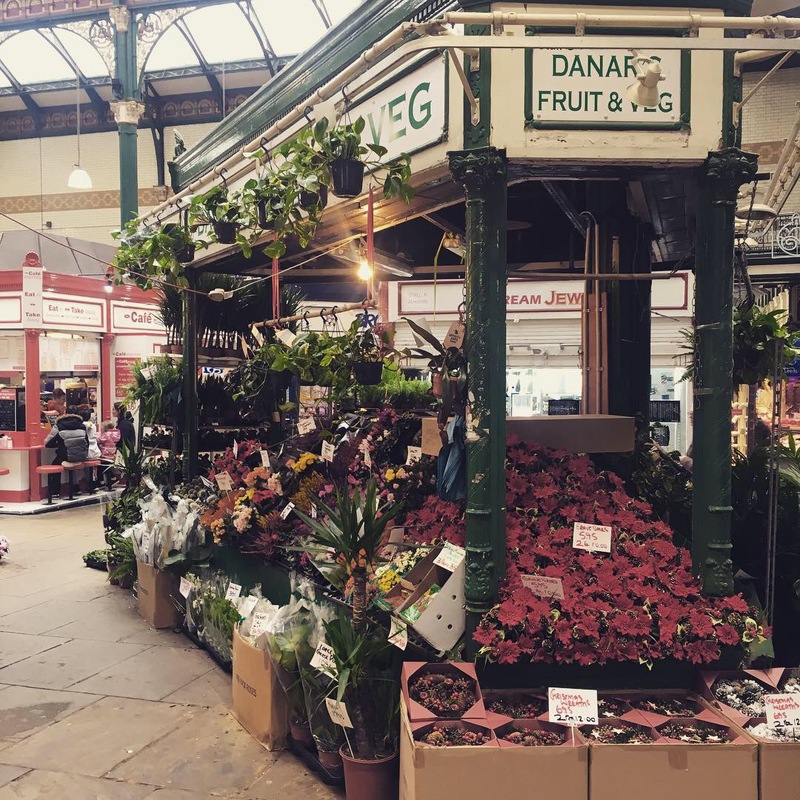 So, here are (some of) the reasons why I love Leeds Kirkgate Market and why you should too. There’s something very fulfilling about spending your hard earned cash supporting local, family owned businesses. I love Yorkshire, I love Leeds and I love the people I’ve met in the market, so knowing that my money is boosting the local economy and contributing to the livelihoods of those around me makes food shopping so much more enjoyable. Shopping local usually means shopping seasonal, especially when it comes to fruit and veg. My favourite thing about this is that the produce available is constantly changing, meaning that I’m always discovering new things and looking up how to cook them… Dinner never gets boring in my house! You’ll find me roasting a LOT of beetroot in spring, finding ways to use up mountains of aubergine and courgette in the summer, drowning in variations of squash soup in autumn and steaming a whole lot of kale in the winter. This is probably my number one reason for shopping in the market. The food is just unreal, particularly the fish and meat. For my fish I shop at R. Bethell and it’s unbelievably fresh… I’ve honestly never tasted a better tuna steak and the scallops here are just ridiculous. As a sushi lover, it’s great knowing that the fish is more than good enough to eat raw. For meat I mostly shop at Malcolm Michaels and again it’s fabulous. Whatever I buy from here is delicious, with very little magic needed in the kitchen to create an impressive dinner. Shout out to the black pudding sausages, the sirloin steaks which melt in the mouth however you cook them and the lean, lean, lean mince (I’m dribbling right now). 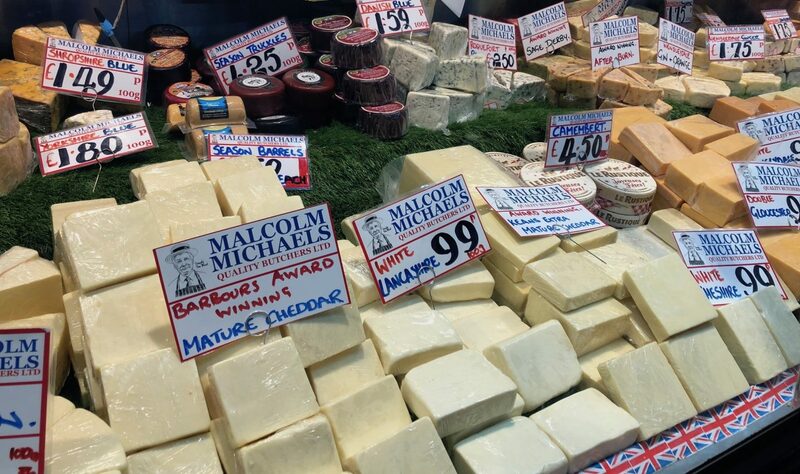 Oh and they sell the BEST cheese in Leeds… so much variety and it tastes incredible, try the goats cheese and you will be hooked forever. For fruit and veg Neil’s is amazing quality (the potatoes seem to never go off however long I keep them in my kitchen drawer), but any of the stalls outside still offer amazing produce and are cheaper. I’m not going to tell you that all the meat in the market is free range and ethically reared and that all of the fish is sustainably sourced, but an awful lot more of it is than the stuff in the supermarket. I try to buy meat that’s been farmed locally (the smaller butchers such as JP Johnston are great for this) and I feel a little better eating it. 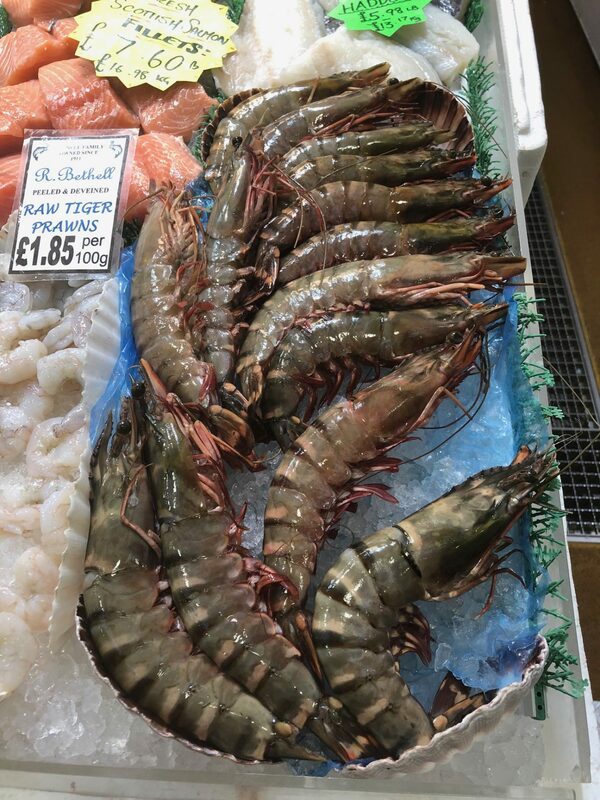 Similarly I know that when I shop at R. Bethell I’m eating fish that’s sustainably sourced and locally caught where possible, and a lot of it is estuarine farmed. I also love that the market helps me reduce waste. Because I’m shopping little and often, I only buy what I need and therefore rarely waste food. I also use a lot less packaging when I shop in the market – I need to get much better at this but if you want to reduce plastic use you could take a Tupperware to the butchers/fishmongers/nut shop etc. to cut down on single use plastic. Even better is Jar Tree, which opened in the market a few months ago. 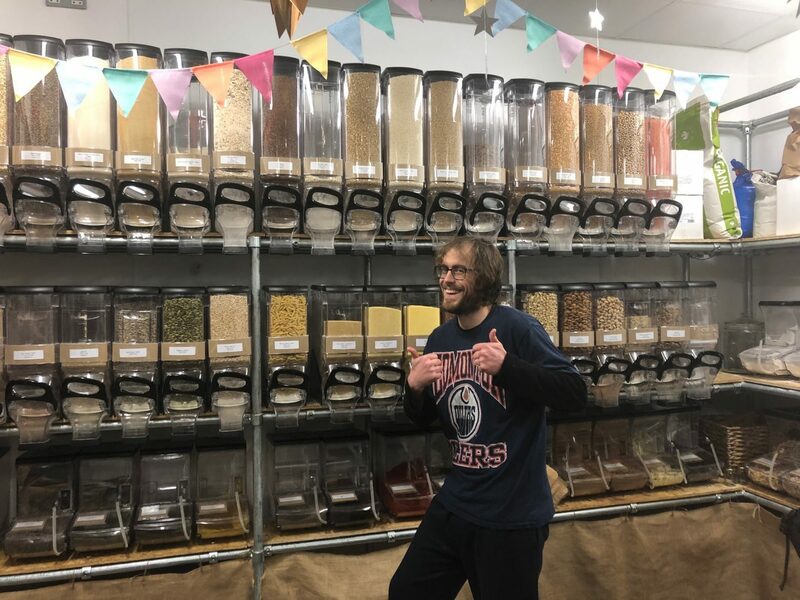 Take in some empty containers and fill them with weigh-and-pay rice, oats, quinoa, couscous, lentils, seeds, nuts (the list goes on) and you have store-cupboard essentials with zero packaging waste! Remember those melt-in-the-mouth steaks I told you about? They’re 4 for a tenner! And that seasonal veg? Last week I bought a bunch of Kale for £1 which lasted all of the Christmas and then had to be used up in my boyfriend’s parents pub because there was so much of it. I used to buy a banana from Co-op on my way to work for 25p, but in the market I can get a whole bowl of them for a £1. 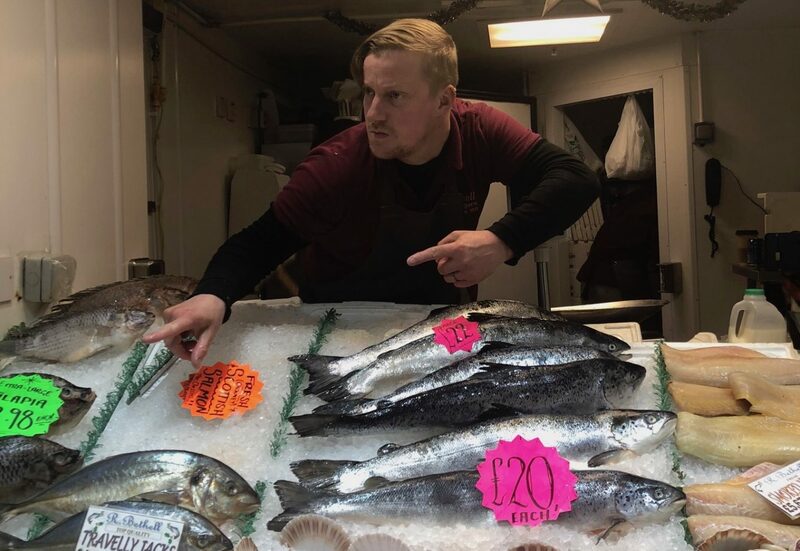 Even the fish is great value for money and doesn’t have to cost the earth… the lovely fishmonger at R. Bethell introduced me to Coley as a way of eating fish on a budget – it’s just as tasty (if not better) than any other white fish but as it’s slightly grey in colour it’s much cheaper! And to add to the already good value, if I’m not sure how to cook something or what it goes with he’ll offer a recommendation too (Scarborough Woof fish wrapped in parma ham and stuffed with homemade red pesto was an absolute winner). I know I said the quality of the produce is my favourite thing about the market, but I lied. It’s actually the people. Everyone I’ve gotten to know in the market is great, and I look forward to market banter and life lessons on a lunch time… it’s a nice break from a stressful day at work. Particular shout out to the boys at R. Bethell and Nathan at Malcolm Michaels, thank you for making my day every time I see you! So there you have it, a few reasons why Leeds Kirkgate Market is so bloody great. And there are a whole host of other points I haven’t even mentioned: you can get pretty much anything there (even a kitten), you can stop for a fantastic hot lunch or breakfast (Yorkshire Wrap Co. is my favourite), and the building itself is beautiful and full of character. 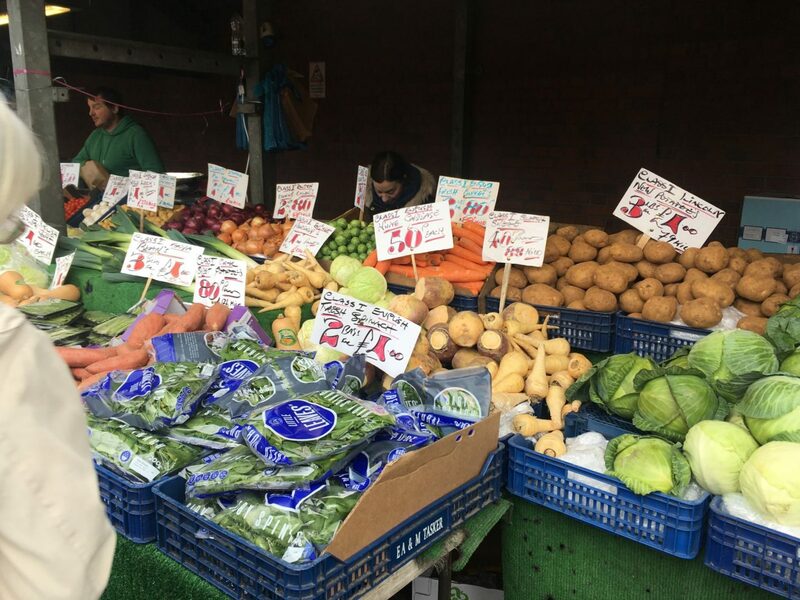 If you live in Leeds and don’t already shop at the market, it’s time to start! And if you live elsewhere in the country, there are loads of amazing markets so seek out your closest one and love food shopping.